REXIS was originally scheduled for installation in September 2015. 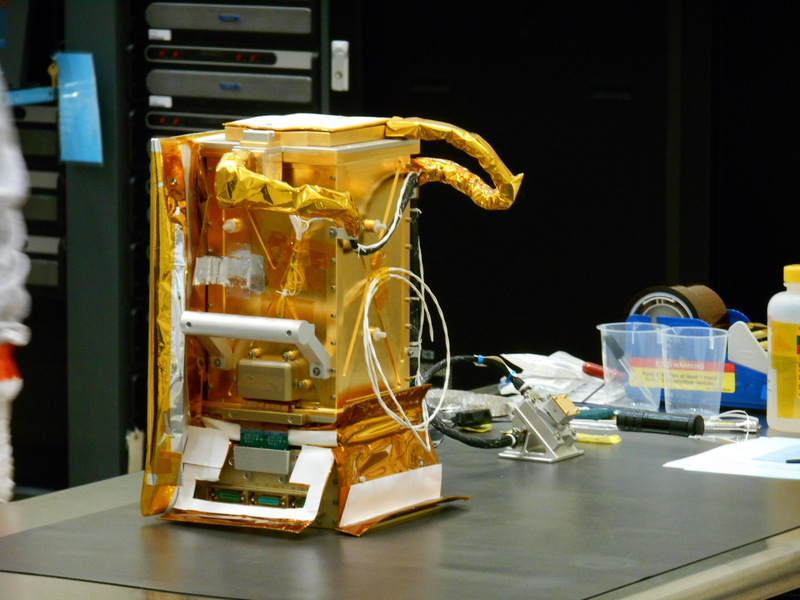 However, after careful consideration, the project decided that we could not approve moving forward with an ATLO Integration Readiness Review (AIRR) for the REXIS instrument at that time. We came to this conclusion based upon the number of items that remained open on the instrument. REXIS has always been primarily viewed as an educational opportunity to train the next generation of scientists and engineers in the development of spaceflight hardware. 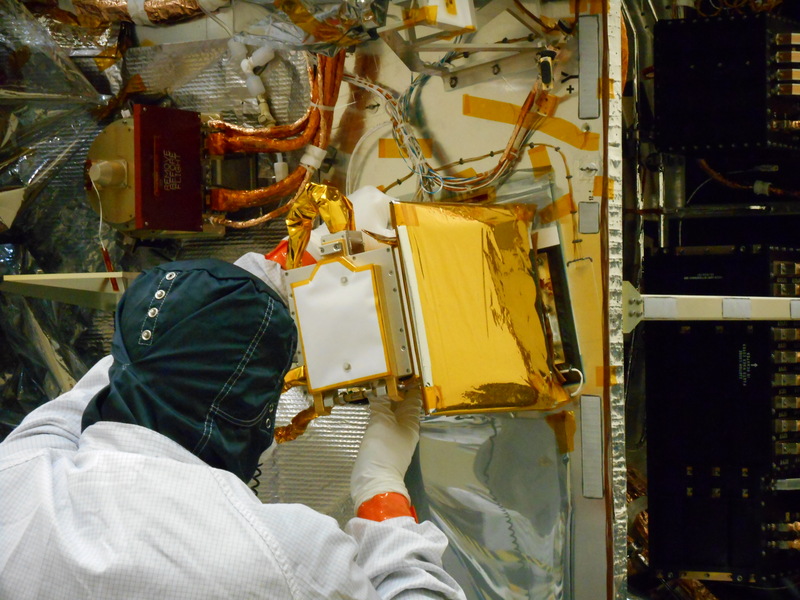 So science return from the instrument is a second priority to ensuring that REXIS does not damage the spacecraft or other science instruments. To this end, the project focused on the “do-no-harm” verification items that needed to be successfully closed before we could be assured that the REXIS instrument was safe to integrate to the spacecraft. In addition, there was an unexplained shift in a primary vibration mode that was revealed during instrument-level vibration testing. That unexplained shift had our mechanical engineers concerned about the safety of the instrument. REXIS was repaired and certified to “do-no-harm” to the spacecraft. At the same time, Rick Binzel, the REXIS Instrument Scientist at MIT, expressed concern about the instrument’s expected science performance. Even though REXIS is a student experiment, there is still an expectation that it will contribute scientific knowledge about Bennu and enhance the OSIRIS-REx mission’s science return. Rick pointed out several problems with the instrument and included suggested solutions. Output noise from the main spectrometer CCDs was limiting the energy resolution. In addition, the Solar X-ray Monitor (SXM) performance was limited by an unpowered trigger circuit within the main spectrometer electronics. Since REXIS installation was already delayed until after spacecraft mechanical testing, we decided to use this time to put our full effort into restoring its science performance. REXIS installation and check out proceeded without issue. 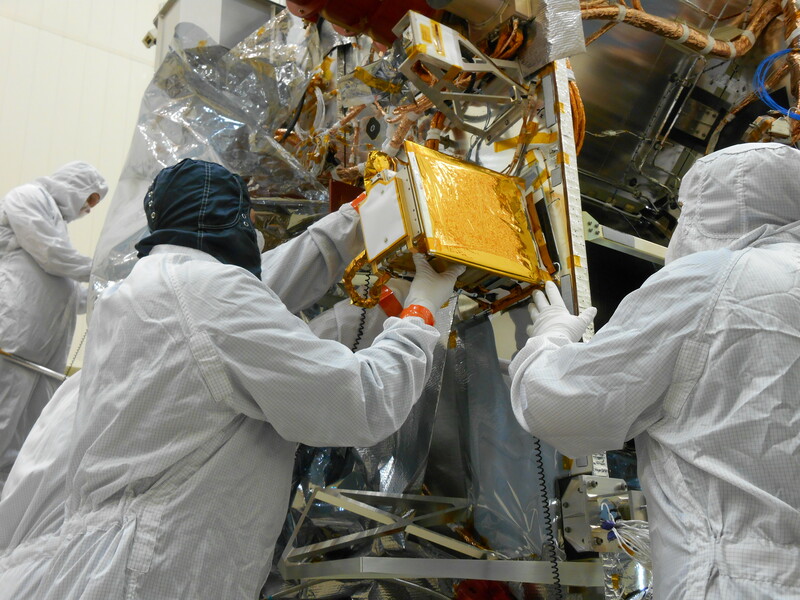 The team quickly assessed the current state of the instrument and identified several repairs. The output noise performance could by improved by adding some noise limiting capacitors to the spectrometer electronics. Spectrometer spectral energy resolution degradation was traced to the improper grounding of power supply cases on the main electronics box. This problem was solved by the addition of capacitors to the electronics. The failure of the SXM to trigger on X-ray events meant that the instrument could not distinguish real X-ray events from noise. This failure was the result of an error in the electronics layout; there was no power being provided to the trigger amplifier. This problem was solved by the addition of two jumper wires on the main electronics box and the addition of capacitors to the SXM circuitry. REXIS is now on the spacecraft and ready to measure X-rays from Bennu! To implement these repairs, REXIS was shipped from Denver back to the MIT Lincoln Laboratory. There, the electronics box was opened and the SXM was disassembled. 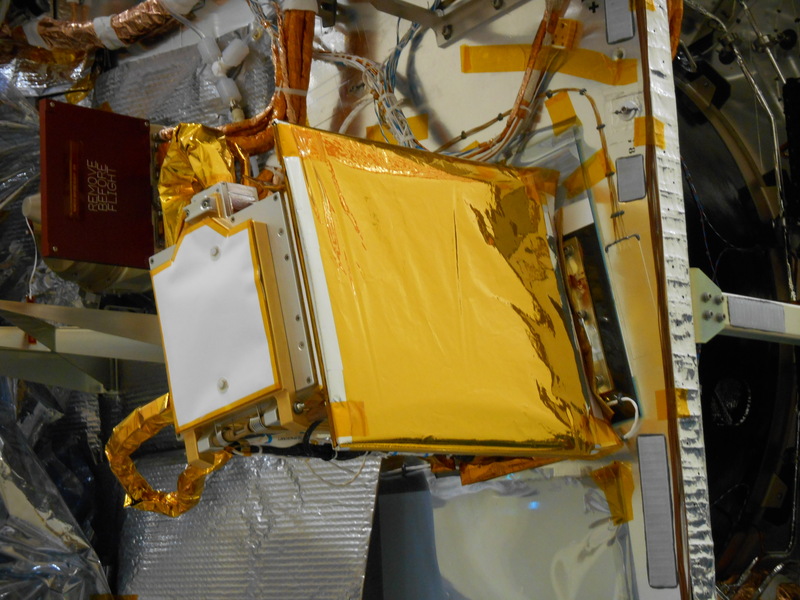 The board repairs were completed and REXIS’s performance was restored to full functionality. With these repairs in place, REXIS can now enhance the science return of the OSIRIS-REx mission. Rick Binzel contacted me to give his full recommendation for REXIS’s inclusion in the OSIRIS-REx payload. In addition, REXIS demonstrated that it met all the “do-no-harm” requirements post repair. REXIS was now ready for spacecraft installation. Once again, I’d like to praise your skills in writing these technical reports/updates, that are both informative and interesting to the public at large. The effort you put in this does not go unnoticed. Thank you for this outreach blog.